1. Extracts by exhibition curator Tse Hao Guang, taken from a write-up on the poem written by Chow Teck Seng supplied to him. 2. A recording of Chow Teck Seng reading his own poem, ““我们对着鱼缸说国语”. 3. 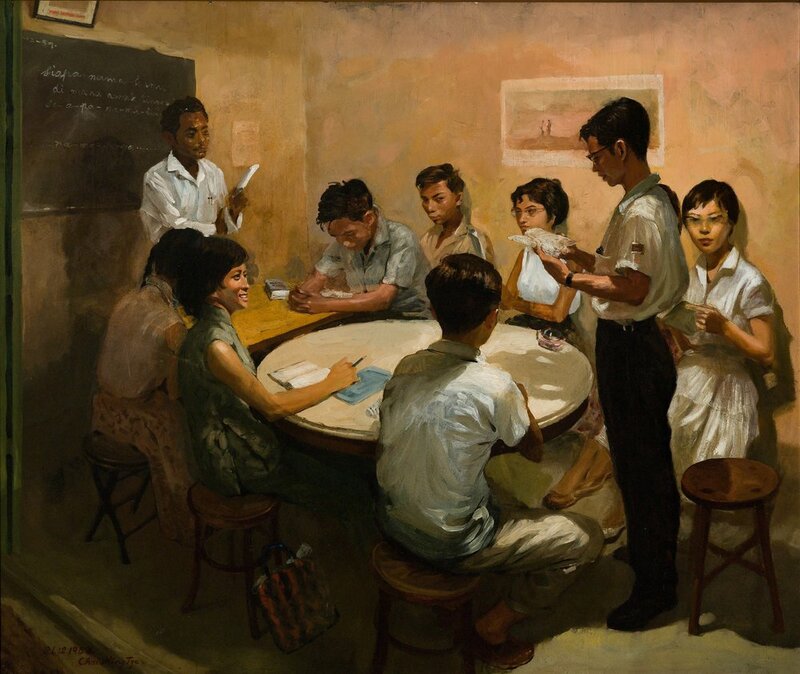 Chua Mia Tee, National Language Class, Collection of National Gallery Singapore.